Watching “Django,” it’s clear how comfortable Tarantino is behind the camera in this Southern-set Western environment and with the characters he has created/molded based on his many influences. It would be a surprise to learn that this film was anything but one of the easiest filmmaking experiences of his career from a creative standpoint. He’s a master of genre filmmaking, of giving his audience exactly what it wants (and at this point his fans exactly what they expect), and “Django” is consequently a breeze to watch. Jamie Foxx plays the titular hero, a slave who in the film’s opening is purchased somewhat violently by the German bounty hunter Dr. King Schultz (Christoph Waltz). The two strike a deal that if Django helps him track down and secure the bounty of three men whom only he can identify, Schultz will not only give him a cut, but help him find and rescue his wife, Broomhilda (Kerry Washington). In the process, Schultz trains Django to be a good shot and a quick draw. It’s Schultz who dictates pace and tone of the first half of the film, however, not Django. Just as he did for Tarantino in “Inglourious Basterds,” Waltz dominates every scene he’s in during this first act, dancing loquacious circles around all the other actors and using his charm and wit to turn the tension and conflict into putty. He’s not as impressive as he was in that Oscar-winning role, but that could easily be attributed to the fact that his character is a good guy, not malevolence in its purest form. Django as a character comes into his own in the final act of the film when all the cards are on the table, or as would be more appropriate to say in a Tarantino film, the you-know-what hits the fan. That’s not even a semi-spoiler, by the way, because it’s Tarantino’s M.O. — you know not to panic if you’re over two hours in and there hasn’t been all that much bloodshed. Anyway, Foxx thrives when Django is finally “unchained,” but he’s written rather curiously until then. His motives are simple enough (love and vengeance) and being a former slave the sympathy card is in play from the first shot of the film, but he’s not written to be the most likable of heroes. He’s a quiet partner for much of the movie who begins to slowly speak up more, and the things he has to say are brash and frankly a bit cocky. It’s clear he’d rather start shooting sooner than talk, which will make you antsy up until the trigger gets pulled, in both a good and bad way. 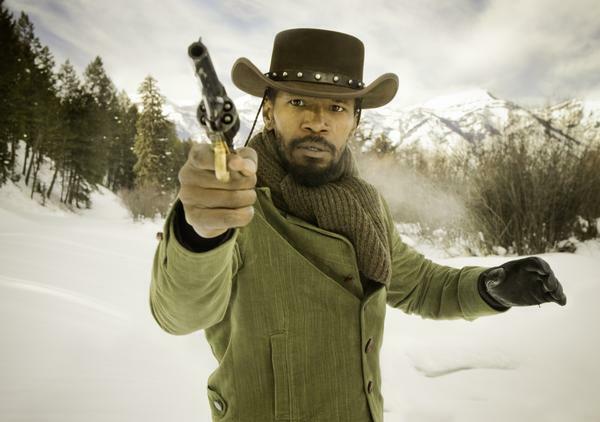 Tarantino doesn’t wield as much suspense in “Django” as in other films. The stakes were so much higher in “Basterds,” for example, perhaps due to the wartime, undercover nature of the plot and the involvement of Nazis. This made his lengthy scenes and fluffy dialogue keep you even more on edge, which happens in Django but not with the same sense of urgency. Instead there’s a lot of racial tension, and while that adds an interesting side commentary, it doesn’t have any bearing on how the events will ultimately unfold. 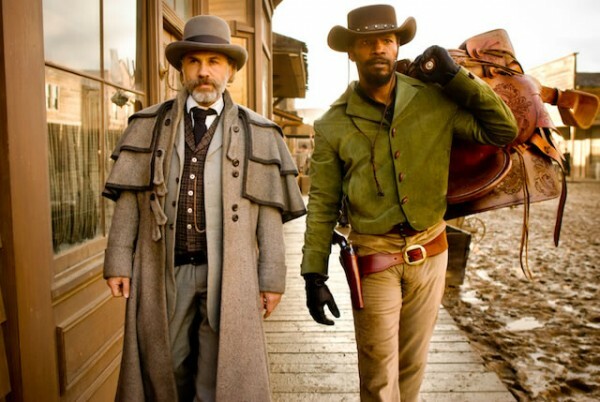 “Django” is also much more predictable than Tarantino’s pervious films, but that’s not necessarily a bad thing. None of the turns of events will be shocking, especially if you’ve ever seen a Tarantino film before. A lack of surprises always lessens the impact of a film, but there’s a certain comfort and pleasure in knowing what’s around the corner, because the result is absolutely satisfying. 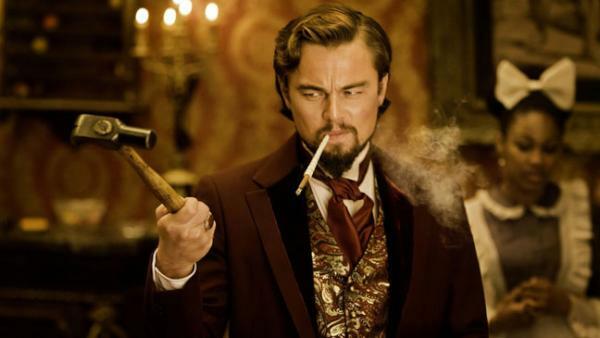 The biggest wildcard of the bunch is Leonardo DiCaprio as Calvin Candie, the Mississippi plantation owner who Django and Schultz discover owns Broomhilda. Not appearing until late in the film, we don’t get to spend much time getting to know his character, so when he flips a switch it comes with a significant impact on the tone and the flow of the film. Still, there’s not enough depth there for Candie to be a true villain, just a colorful one. Samuel L. Jackson is terrific as his housekeeper, Stephen, as well, but his and Candie’s character arcs are disappointingly short. While Django is always motivated by Broomhilda from the start, there’s no antagonistic thread that runs from beginning to end to make the payoff more than just carnally satisfying. As a piece of entertainment, if you’re a fan of genre films, straightforward revenge-based premises or Tarantino, “Django Unchained” is nothing to complain about. It’s expertly filmed, cleverly written, gloriously violent, funny and wholly satisfying. As obvious as it is in its methods from time to time, it never loses its stylistic edge and never falters in the mechanics of good storytelling. Tarantino is capable of being more clever as a writer and more dynamic as a director, but he puts all his best skills to use in “Django” and it doesn’t disappoint.